London Borough of Southwark announced that they have awarded the £1.5 billion (circa A$2.7 billion) regeneration of Elephant & Castle to Lend Lease. The project is one of the most significant schemes of its type in Europe, comprising over 300,000 square metres of new build, mixed-use development, together with major infrastructure improvements and a range of enhanced community facilities. 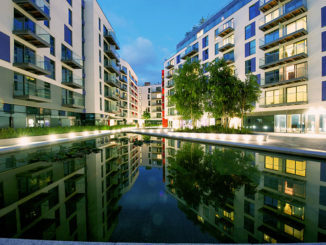 The location, within two miles of London’s West End, is unrivalled for a development of this scale. The scheme comprises six phases. The first phase demolition is scheduled to commence in February 2010. Detailed planning consent for the first phase is expected to be achieved by April 2011. Both parties have expressed their commitment to work together on the redevelopment of all six phases of the site.